Also I know you’re strong Openbox fan, may be you’d be interested in tiling WMs. Tiling is ineed strange by start, but in no time you’ll be at home, given user make some hotkeys at fingertips. I’d start with i3wm as it is well designed and simple (almost no confgi-feedling needed). In extreme case, one maximized window takes whole physical screen (i3wm does this, others may stretch window across all available screens). So, how then should one use more than one window? In my expereince, the windows are centered around some task at hand of user; and there are multiple virtual desktops. So one user task (several windows) – one virtual desktop. There is ususally 10 virtual desktops in quick access (Mod+1…Mod+9,Mod+0). 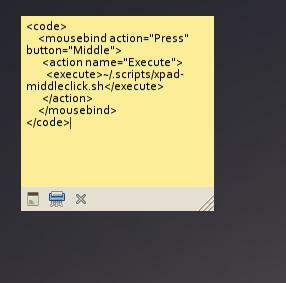 I’d also recomend to move all window management hotkeys to Win+ combinations for easy of use and (usually) no collisions. For the quick launch I use dmenu-run modified with my preferred applications. It is very convinient to launch browser. So, I use Chromium, it’s executable file is chromium. To launch it I type: Win+Space, iu, Enter. Vuala, Chromium window started at current worksapce. Hope my little intervention with tiling WMs and non-conformists’ ideas will inspire you for something new and make you more productive. I have used tiling window managers in the past (mainly awesome and musca), and still occasionally play with them, as earlier posts demonstrate, but I found it easier to use a non-tiling window manager like Openbox for work. I totally agree with your point of view about Openbox. I have been using Openbox for a long time and I am sticking to it too.